To resemble the black lady figure of the Filmfare awards, there were many ladies of B town who walked the red carpet in black gowns. 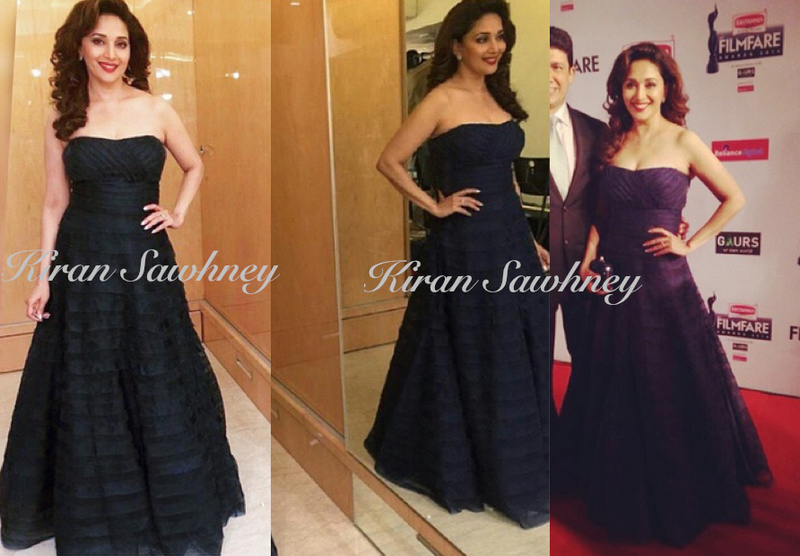 Madhuri Dixit Nene spotted wearing Jade Couture. Taapsee Pannu in Theia Couture Gown posing on red carpet. She teamed it with roots jewelry. Is it only us, who feel that Madhuri and Taapsee's gown look similar. Sophie Choudry was in Monisha Jaising black and gold gown. Sophie seems to favor black and gold a lot. She was in black and gold even at stardust awards. Tonight she teamed it with stunning emeralds by Farah Khan Ali. 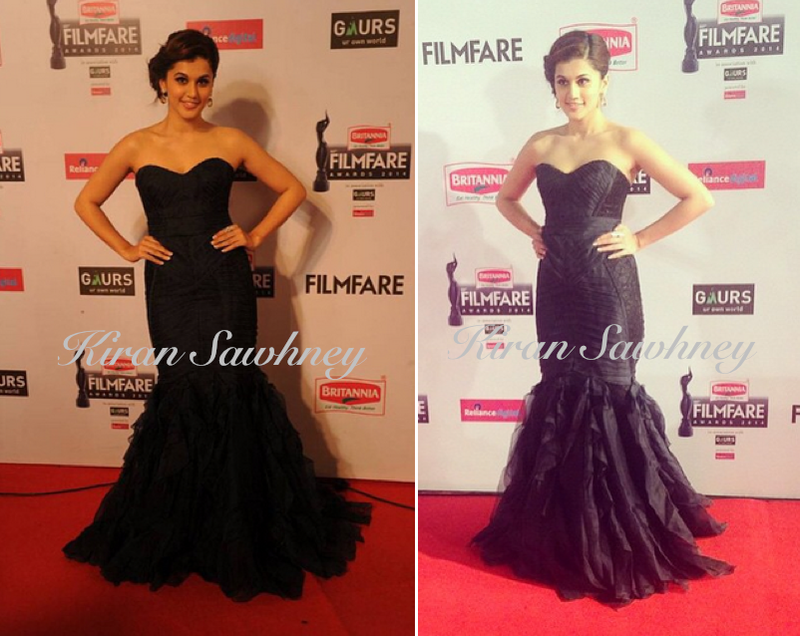 Alia Bhatt in her black Monisha Jaising gown. She teamed it with Eina Ahluwalia earrings. Miss India Earth 2013, Sobhita Dhulipala wore Akanksha Gajria. She teamed it with Isharya discoball ring from Minerali store. The gown resembles so much like a bouquet of flowers. Gauahar Khan at Britannia Filmfare Awards 2015, wore Mayyur Girotra gown. She teamed it with accessories by SLJ India. Tabu in her sequined black outfit from Vizyon. Do you have a favorite? We don't. They all look the same.